Former Deputy Director General of Estonia's Internal Security Service Eerik Heldna, who currently serves as legal counsel at the Nove law firm, will lead the expert team to counter corruption and promote the implementation of anti-corruption measures in Ukraine. 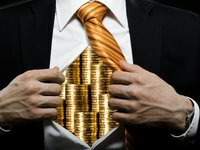 "EU Anti-Corruption Initiative in Ukraine (EUACI) 2017-2019 is an EU initiative with the funding of the Danish International Development Agency (DANIDA), which aims to mitigate the role of corruption in Ukraine by sharing relevant experiences and best practices successfully implemented in Estonia," Nove reported on Wednesday, December 13. Heldna has assembled an expert team consisting of police officers and border guards that will support the activities of Ukraine's National Anti-Corruption Bureau (NABU) by training the officials and developing the organization itself. The main objective is to identify and map the needs of training based on which a corresponding training plan can be drawn up. The trainings will take place in Kyiv and in Tallinn. The project will be funded by DANIDA and the Estonian Foreign Ministry. Heldna has worked for nearly 20 years at the Estonian law enforcement and security agencies and has previous work experience with the Ukrainian law enforcement agencies.